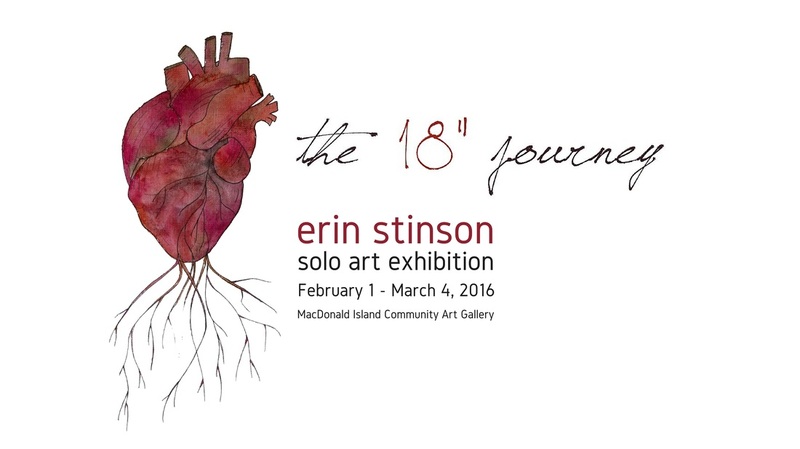 This is a solo art exhibit of over a year's worth of my artistic work, exploring the theme of the eighteen inch journey. Paintings, Photography, Mixed Media, Sculpture and Poetry will exhibited all month long with an exciting line-up of events running alongside the show! 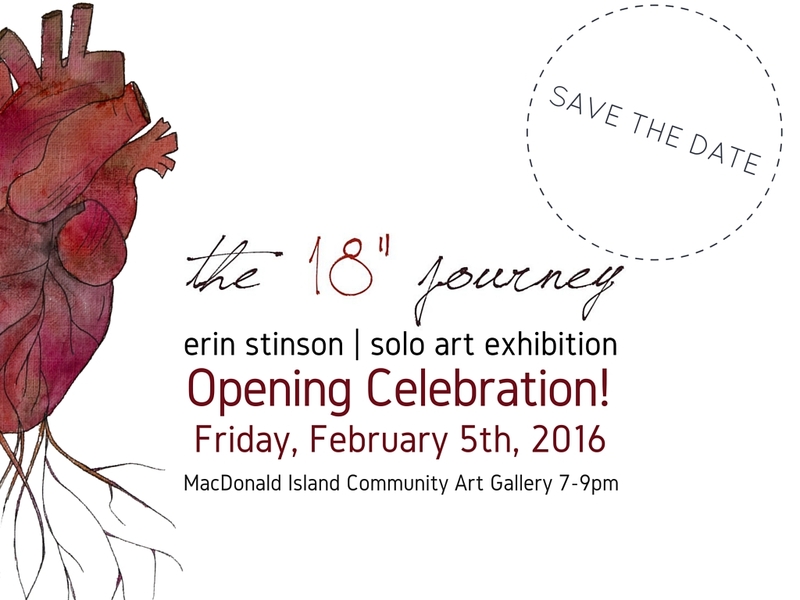 A workshop, a writing event, art tours and an opening reception! I can hardly wait! Want to be the first to learn of updates? Be sure to follow me on social media!